An SRC-RC column is a vertical hybrid of a steel reinforced concrete (SRC) column and a reinforced concrete (RC) column. 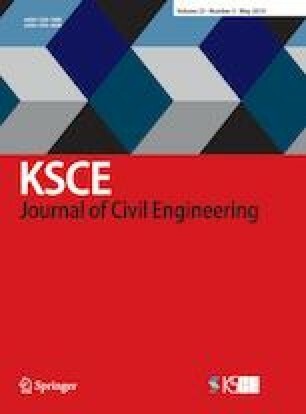 To propose the capacity and stiffness calculation method of SRC-RC columns, 768 column models have been simulated using fiber FEM (finite element method) with lateral static loading. These models have different parameters, including: Concrete strength, steel strength, steel sections, steel length and column concrete ratio. Based on simulation results and using a linear regression method, the equations of the secant stiffness and bearing capacity of the SRC-RC hybrid columns are calculated, proposed and verified using the residual analyzing method, ensuring that these calculate equations are accurate.